Exclusively sourced from the captivating quarries of Cairns Australia, Ancient Reef is part of the Dreamtime Marble Collection, exclusive to Gitani Stone. Renowned for its beautiful warm tones, Ancient Reef is durable natural stone that brings elegance and character to any living space; particularly popular for creating striking feature walls and island benchtops. 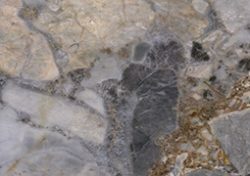 Wherever you may choose to use Ancient Reef, this stone promises the essence of authentic beauty.